Preheat the oven to 400 degrees. 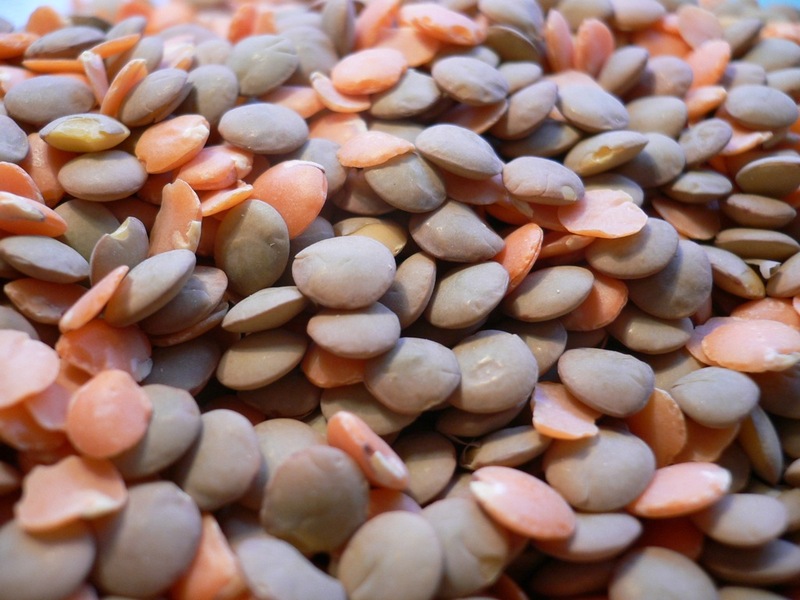 Put lentils, 1/2 teaspoon salt, and 4 cups water in a large oven-proof pot and bring to a boil. Reduce heat and simmer lentils until soft but not mushy, about 20 minutes. Drain lentils and set aside. Rinse pot. Add rice, the remaining 1/2 teaspoon salt and 1 1/2 cups water to the pot, set over medium heat, and bring to a boil. When water begins to boil, cover pot, transfer to oven, and cook for 17 minutes until perfectly cooked. Remove from oven, uncover, and fluff with a fork. Set aside. While rice cooks, set a wide, deep saute pan over medium-low heat and add butter and 2 tablespoons olive oil. When butter has mostly melted, add onions and toss to incorporate with butter and oil. After 5 minutes, onions will have softened slightly and started to release their liquid. Raise heat to medium and cook 10 to 12 minutes more, until onions are very soft and browned. Add water by the tablespoon if pan gets too dry or if onions start to stick. When onions are well browned, add last tablespoon of olive oil and raise heat to high. Cook another 3 to 4 minutes, until bottom layer of onions has charred and crisped; try not to stir too much, or onions won't crisp up. Combine rice, lentils, and most of the onions in large serving bowl and let sit for at least 15 minutes, to marry the flavors together. Mix all ingredients together in a small bowl. If mujaddara has cooled significantly, reheat in a low oven or even in the microwave for a couple minutes. To serve, plate a big scoop of mujaddara and top with a dollop of yogurt. Chefs Tip: Mujaddara is an ancient middle eastern dish. The name means "pockmarked" because of the way the lentils look in the rice.